Doing whatever it takes to sell your home! OPENING SPRING 2019 AT MADISON SQUARE SHOPPING CENTER! Build it better. Build with Capps. When it comes to your outdoor living spaces, nothing beats hassle-free maintenance. We’re committed to providing our customers with the largest selection of high-quality, wood-alternative decking and railing products in the entire Southwest Virginia region. Come visit with our experienced team of deck and porch planning professionals to get started creating your own outdoor oasis. Roanoke Valley HOME is published five times annually by West Willow Publishing Group, LLC. For an annual subscription, please send $20 and your name, address and telephone number to: Roanoke Valley HOME 2003 Graves Mill Road, Suite B, Forest, VA 24551 For advertising information please call (434) 386-5667 or sales@rvhomemagazine.com. 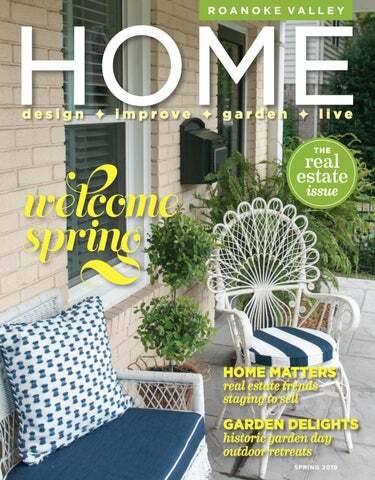 To discuss coverage of an event relating to home or garden, please contact Roanoke Valley HOME at info@rvhomemagazine.com. “Exceptional all around. Communications was particularly helpful. We are very appreciative of the fine job done by the Seven Oaks Team. The final product was very impressive.” -Van M.
Where customer service still matters. Trusted since 1979. Finding a house is just the beginning, making it YOUR HOME is the perfect ending. THE VALLEY’S LARGEST LOCALLY OWNED REAL ESTATE FIRM For more than 46 years, giving back to our community and profession has been the cornerstone of our success. We believe that in life and in business, you get more than you give. Our expertise includes residential, commercial, land, property management, relocation and mortgage services. Service makes the difference in relocation and MKB, REALTORS® has been offering outstanding full service since 1973. Our Associates are ready to serve you. Call us today for all your real estate needs. IMAGE COURTESY OF PHILLIP BARRETT, JR.
An important and crucial way to gauge the market in any area continues to be home prices and sales of existing homes. In Roanoke, “The average starter home has risen to a price range of $130,000, midrange homes begin at $245,000, with luxury homes starting at $750,000 and going up,” according to Hale. Overall, median sales prices seem to have risen in the past few years. In 2017 the average price of a home sold in Roanoke was $180,000; in 2018 it rose to $217,465. Sales of existing homes were up two percent in 2018 which shows that people are taking that risk and entering the market. Your house is getting ready to go on the market, or perhaps it's been on the market for several weeks. HOME shares comments from local real estate professionals as they divulge the top three things buyers are looking for in their home search, as well as the three issues buyers complain about when they tour homes on the market. Cyndi Fletcher, Berkshire Hathaway HomeServices, REALTORS n	EVERYTHING renovated! n	Good schools. n	Outdoor living spaces, i.e., porch, deck or patio a must! Cyndi Fletcher, Berkshire Hathaway HomeServices, REALTORS n	Kitchen and bath upgrades are not done. n	Small bedrooms. n	Small closets. Amy Cullen, MKB Realtors n	Location. n	Spacious kitchen/living area for family and entertaining. n	Move-in ready. Scott Avis, MKB Realtors n	Updated/new kitchen. n	Updated/new master bath. n	Outdoor living/entertaining space. Bill Gearhart, Coldwell Banker n	Convenient location. n	Low maintenance. n	Modern amenities. Susan Bailey, Long & Foster Realty n	Location! Good schools, close to workplace, vibrant neighborhood. n	Condition: Everything is done—turn key! n	Price: Buyers want a good value. Amy Cullen, MKB Realtors n	Inventory is low. (It's a good time to be a seller!) n	Homes are disorganized, cluttered and not market-ready. n	Appliances are old and outdated, possibly requiring maintenance or replacement. Scott Avis, MKB Realtors n	Lack of renovation. n	Not enough modern/open space. n	Lack of yard and outdoor living space is problematic. Bill Gearhart, Coldwell Banker n	Low inventory. n	Low inventory. n	Low inventory. Susan Bailey, Long & Foster Realty n	Wallpaper and paint colors: Buyers want it neutral. n	Furnishings look tired and exhausted, therefore, the house does too. n	Bathrooms not updated, if not, buyers see dollar signs. as we move into 2019, inventory will be on the rise in all price ranges as more and more people decide to list their homes for sale. Buying or selling—is now your time? 12 years Real Estate experience selling homes, farms and unique properties. GRAND HOME FURNISHINGS DESIGN CO N S U LTA N T Crystal McKenrick Crystal has been with the Grand family for over 15 years. She has helped hundreds of families create a special place in their homes for gathering relaxing and celebrating life together. Crystal is based at our Valley View store location. Brick is naturally made; offers a wide range of color and texture options; high energy efficiency and noise retention; may have lower insurance premiums; no maintenance; high sustainability. *Listed sq.ft. pricing is based on data provided by mason contractors exclusive to Roanoke area. BLACKBERRY BOURBON SMASH whiskey or whisky? —The Spruce Eats 1 1/2 ounces bourbon 2 ounces lemonade 1 ounce pomegranate juice Shake with ice and strain, serve over ice and garnish with lemon wedge or cherry. In addition to treating a wide variety of skin conditions, Carilion Clinic Dermatology and Mohs Surgery offers a variety of aesthetic services, including: • Chemical peels • Medical-grade products • Dermaplane treatments • Microdermabrasion • Facials • Permanent makeup • Fraxel laser skin resurfacing • Photofacials • Laser hair reduction Monthly specials are available online. To schedule a consultation with Master Aesthetician Susan Gaylor, call 540-345-6010. Join us at the Roanoke Council-Garden Clubs, Tuesday, May 14 at 6 p.m. to learn about skin changes to monitor and our advanced-technology treatment options. A panel of experts will answer your questions. To register, visit CarilionClinic.org/skincare. “It's as close as you can get to family living.” At Richfield Living, our full continuum of care is available for however long you need. With our renewable rental agreements, you can select one of our affordable living options that feels just right with your lifestyle. If you’re just in need of a short term stay for Mom or Dad, we can help with that too. As life evolves, you can be confident that Richfield Living is here for you. All three experts agree: get your paperwork organized! Whether you’re a first-time home buyer or if you haven’t been out in the market for a while, lenders need more information than they used to, so be sure to have bank statements, paystubs, tax returns and other related papers in order. There’s no place like home. That’s why we work so hard to build the right loan for you. You’ve found the home that’s right and we think your mortgage should be too. Every step of the way, we’re here to help – with a wide variety of loan types to fit your unique circumstances, interest rate locks, flexible rates and terms, simple loan closings and the best local service. We’d love to lend you a hand. Above the pair of resplendent cherry red club chairs, a collection of seven Ted Turner paintings embodies the colors and details throughout the room. A needlepoint pillow, hand crafted by Whitney, depicts the seaside, a favorite vacation spot for Whitney and her extended family each summer. An Asian-themed tulip vase, often referred to as a tulipiere, adds whimsy to the richly honed dining room table. The table is a family piece and gift from Whitney’s Uncle. gave it to me.” The dining room is the perfect spot to display more of Whitney’s collection of Asian china and porcelain, where it joins another Ted Turner oil painting, in the antique china cabinet and on the nearby sideboard. The compact kitchen and eat-in dining area at the rear of the house is a tribute to efficiency. Whitney explains that she didn’t have to do much more than paint the walls and switch out a few light fixtures to make the room her own. There’s a clever builtin desk/computer workstation with lovely built-in bookshelves, which give Whitney extra storage as well as a home-office of sorts. There’s another heirloom dining table in here with matching chairs that Whitney has had covered with crisp navy blue monogrammed seat cushions. Crisp white plantation shutters allow abundant light to filter through the built-in desk/workstation adjacent to the kitchen. The precious Pig Painting, a Pawley's Island find, is the perfect artwork for the Lilly Pulitzer bedding Whitney reused from her college and grad school days. The house actually has four distinct floors, a ground floor, a second floor, where Whitney has three spacious bedrooms and 2 full baths and a finished attic and unfinished basement. The bedrooms are painted cheerful colors: bright, apple green, pink, (Because they matched all the recycled Lilly Pulitzer bedding she had from college and grad school) and her own bedroom, done in bright patterns of blue and orange (an homage to her alma mater, UVA). Whitney is talented at creating art as well as collecting it. For instance, in her bedroom, Whitney displays a grouping of six Chinese vase-themed paintings that she painted herself. She explains, “I have one painting like these in my kitchen that I ordered online for $100 and when it came, I thought, I can do that!” So, she did. The finished attic is brightly lit from large windows at either end. It’s set up as a casual second sitting room, but could easily double as an additional bedroom, or, as Whitney explains, even a crafting nook. Introducing Cove. The only dishwasher with Sub-Zero and Wolf in its DNA. 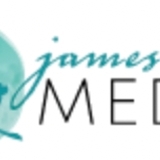 When you want to reach the most responsive, most affluent, most desirable audience in the Roanoke Valley. your replacement window, it needn’t limit the other style choices. Are you interested in changing up the look of your classic double-hung paned windows for something more contemporary? Consider the unfussy ease of pass-through sliders or the increased ventilation of today’s modern casements. There are many styles to choose from to give your home a new look while complimenting your home’s architectural style and age. By far the most significant trend in recent years has been a departure from basic white replacement window frames. “Dark colors—black or even dark bronze are very popular now,” Dawson explains. Dark colored frames, black, brown, bronze, even dark hunter green, are popping up more and more in the residential market. Newton agrees. “While we still see a majority of people ordering white replacement windows around here, there has been a definite uptick in orders for colored frames. In fact, we carry more than 20 colors now and though we haven’t used every one, we are getting close.” Fantastic new features, going beyond color and style, have been incorporated into today’s array of replacement windows. WHEN YOU ARE READY TO CHOOSE YOUR NEW GARAGE DOORS… choose your style, color, windows and hardware. And choose the NUMBER ONE installer in Southwest Virginia for over 60 years! Homeowners can now find replacements that have extra narrow frames, increasing the glass—and therefore the light—inside your home. There are also replacement windows that have retractable screens, which eliminate the need to remove, store and replace window screens. There are even replacement windows designed with safety and security in mind—windows that come with integrated security systems, which align with your home’s existing security system and others that come with blinds between the glass panes providing an effortless way to achieve privacy without ever having to dust blinds again. We carry candles, potpourri & home fragrances, bath & body products, jewelry, rugs, flags, door mats and offer custom floral design. GARDEN historic garden day On Friday, May 3rd, a Kick-off Party at Black Dog Salvage, 902 13th Street SW, Roanoke, features renowned chefs providing tasty nibbles and celebrities from the DIY show, Salvage Dawgs. Proceeds benefit a local garden project at the Ronald McDonald House of SW Virginia. Limited tickets are available, $100pp. Lovin’ Life in the Mountains! of the Roanoke Valley are paramount in many of the homes and as these gracious homeowners can attest, they are certainly “Lovin’ Life in the Mountains!” The Roanoke Valley Garden Club and Mill Mountain Garden Club host Historic Garden Day in Roanoke and have arranged shuttle service to the homes on tour via Roanoke’s Star Line Trolley. Trolley pick-up is located at tour headquarters, South Roanoke United Methodist Church, 2330 S. Jefferson Street. Enjoy Palooza in the Park at South Roanoke United Methodist Church, 10 a.m. to 3 p.m. with food trucks and vendors. Seating is provided. be to have an audience with the most powerful woman in the world when the world was so treacherous! amp: What is your favorite first sign of spring? AC:: I always get excited when I see the first daffodils in bloom! amp: What are you reading right now? AC:: Unsheltered by Barbara Kingsolver—I grabbed it when I saw it was set in Roanoke and Vineland, NJ—both cities to which I am connected. amp: What is your pet peeve? AC: My college major was English and I have a difficult time when people use “I” and “me” incorrectly (my own children included!) amp: What is the best piece of advice you’ve ever had? AC: My friend’s mother always told us not to worry too much about what we were wearing because no one would remember the next day. amp: What is the next big event you are most looking forward to? AC: Art Go Bloom at the Taubman Museum of Art May 16-19! This event combines two of my favorite things: art and flowers. I’m fortunate to have been asked to co-chair this event for the second time and I’m looking forward to seeing the floral arrangements interpreting works of art placed throughout all of the Museum galleries and public spaces. I am most excited about the special programs that will take place during this event! Opening night will feature a not-to-be-missed fresh flower and foliage fashion show with creations designed and created by Virginia Tech Students. There will be flower workshops and demonstrations, a High Tea at the Hotel Roanoke and a Sunday Brunch at the Museum. amp: What did you want to be when you grew up, as a child? AC: Surprisingly, I wanted to be a pediatrician until I was in 9th grade. Once I went to high school, music classes and a summer job at Colonial Williamsburg changed my direction. amp: Who is your favorite artist? AC: I don’t really have one favorite artist, but I am drawn to the great impressionists—Renoir, Manet, Pissarro .amp: What would you tell the 25-year old version of yourself? AC: “Listen more! You have so much to learn!” amp: What design rule are you proud to break? AC: I don’t like “sets” of furniture! amp: What is your proudest accomplishment? AC: I am most proud of the accomplishments of my husband and children. As for my achievements, I am proud of any positive influence I may have had on the children to whom I have taught music! amp: What inspires you most about Roanoke? AC: Roanoke, for a city of its size and location, has a tremendous amount of culture and cultural opportunities!